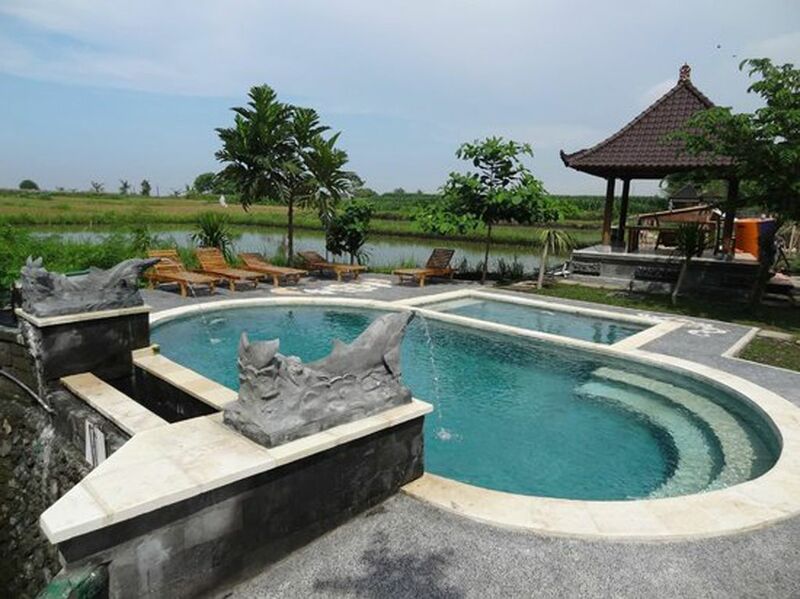 Surrounded by lush gardens, Nirmala Guest House is located in Keramas Beach, Gianyar. Well known for surfing beach - 3 minutes’ walk to the beach. Offers bungalows with private entrances and cable TV. Guests can enjoy a relaxing massage, or make tour arrangements at the tour desk. Offering a private terrace with garden views, air-conditioned rooms. Each has a seating area for guests to relax. The private bathroom includes a shower, bathtub and free toiletries. Nirmala Guest House is a 3-minute walk from Keramas Surf Beach and a 50-minute drive from Ubud, the center of Balinese culture. Ngurah Rai International Airport is a 1-hour drive from the accommodation. Laundry services and car rentals are available at an additional cost. Other services include airport pick-up and shuttle services. Free parking is provided on site. Guests can enjoy a variety of Indonesian, Balinese and international dishes at Nirmala Warung Bebek Surfing, which also offers room service on request. This property also has one of the best ranked locations in Keramas! Guests are more happy about it compared to other properties in the area. Couples especially liked the location - they gave 8.5 points for a two-person trip. Guests love to walk around the neighborhood! “Great location, less than 3 minutes’ walk to the beach and this guesthouse is located in the middle of rice fields, each of which is very nice and peaceful. Some of the best surfing spots in the world are spread along the southeast and southwest coast of Bali, while famous snorkeling and diving spots can be found on the north coast.